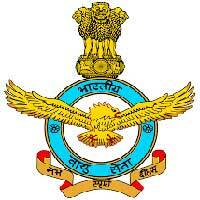 Commissioned officers in Flying, Ground Duty (Technical) and Ground Duty (Non-Technical) Branches. For Flying:- Possess Graduation with minimum with three years Degree course in any discipline from a recognized University with a minimum of 60% marks or equivalent and BE/ B.Tech Degree (Four years course) from a recognized University with a minimum of 60% marks or equivalent. For Ground Duty (Technical):- Applicants with a minimum of 60% marks each in Physics and Mathematics at 10+2 level and a minimum of four years degree graduation / integrated post-graduation qualification in Engineering / Technology from recognized University. Ground Duty (Non-technical):- Graduate Degree (Minimum three years degree course) in any discipline from a recognized university with a minimum of 60% mark OR B.Com degree (Minimum three years degree course) from a recognized university OR MBA / MCA or MA / M.Sc degree in English / Physics / Mathematics / Chemistry / Statistics / International Relations / International Studies / Defence Studies / Psychology / Computer Science / IT / Management / Mass Communication / Journalism / Public Relation with a minimum of 50% marks. Selection will be based on AFCAT will be for two hours and will contain multiple choice questions on verbal ability, numerical ability, reasoning, general awareness and military aptitude. Eligible candidates may apply online through the website www.careerairforce.nic.in from 03-06-2017 to 29-06-2017.
upload photograph, signature and thumb impression.